THE B-MOVIE NEWS VAULT: Scream Factory delivers the last ARMY OF DARKNESS release you'll ever need to buy on October 27th! 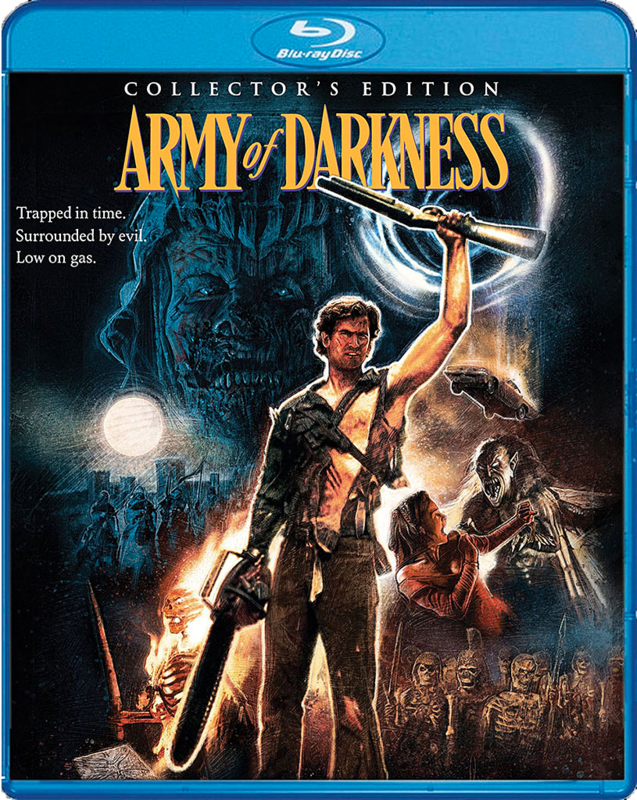 Scream Factory delivers the last ARMY OF DARKNESS release you'll ever need to buy on October 27th! 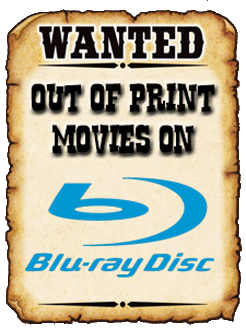 GET SCREAM FACTORY'S GROOVY 3-DISC COLLECTOR'S EDITION OF "ARMY OF DARKNESS" ON OCTOBER 27TH! I am a lifelong fan of Sam Raimi's EVIL DEAD series, and I've purchased all three films so many times, in so many formats. Thankfully, with the rise of Blu-ray disc, I've gotten relatively definitive editions of the first two films. All that stood in my way of having the ultimate high-def collection of the original EVIL DEAD TRILOGY, was the lack of a be-all and end-all ARMY OF DARKNESS Blu-ray release. Film Synopsis: Back to do battle with the hideous "Deadites," Bruce Campbell returns to the role of Ash, the handsome, shotgun-toting, chainsaw-armed department store clerk from S-Mart's housewares division. Demonic forces time warp him – and his '73 Oldsmobile – into England's Dark Ages, where he romances a beauty (Embeth Davidtz, THE AMAZING SPIDER-MAN) and faces legions of the undead. Can Ash save the living from the evil dead, rescue his girlfriend, and get back to his own time? On October 27, 2015, SCREAM FACTORY is proud to present ARMY OF DARKNESS Collector’s Edition, featuring the Theatrical Cut of the film, the Director’s Cut (with 15 minutes of extra footage), the International Cut and the TV version (in standard definition). This definitive collector’s edition of ARMY OF DARKNESS is jam-packed with a wealth of bonus content, including new interviews with star and co-producer Bruce Campbell and the cast, special make-up effect artists Howard Berger, Tony Gardner, Robert Kurtzman, and Greg Nicotero, audio commentary, alternate and deleted scenes and much more – all collected in a special 3-Disc Blu-ray set! A must-have for loyal fans, movie collectors, pop culture enthusiasts and fans of Bruce Campbell to complete their entertainment library, ARMY OF DARKNESS Collector’s Edition also contains a collectible cover featuring newly rendered retro-style artwork and a reversible cover wrap featuring original theatrical key art. Audio Commentary with director Sam Raimi, actor Bruce Campbell and co-writer Ivan Raimi. NEW! 4K Scan Of The International Inter-positive! NEW! Still Gallery Of Props And Rare Photos from the collection of super fan Dennis Carter Jr. If you order it directly from SHOUT! FACTORY, you will get this Blu-ray release TWO WEEKS EARLY, and you will also get an 18 x 24 poster of the new Blu-ray cover art! If you're a huge EVIL DEAD fan, then option two here is a no-brainer! So what are you waiting for "You Primitive Screwheads?!" Order your copy ASAP!